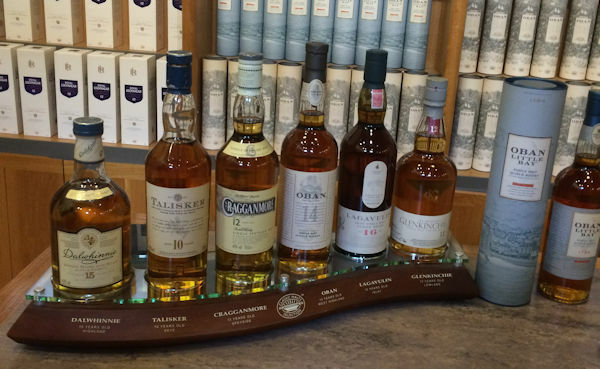 Planet Whiskies went on a road trip on 16th October 2016 and ended up visiting Diageo’s second smallest distillery, The Oban Distillery in the Western Highlands. We arrived in Oban the night before the distillery tour and booked into The Royal Hotel. As we had never been to Oban before and were not sure where everything was around the historic town, but we knew the distillery was right in the centre of the Oban and not far away from the sea. The next morning after a great night in Oban and an excellent breakfast at The Royal Hotel we headed off to the distillery to take park on the 11.30 am tour. By this time we knew where the distillery was and worked out the best place to park the car was in the seafront car park, which is only a 2-minute walk to the distillery. 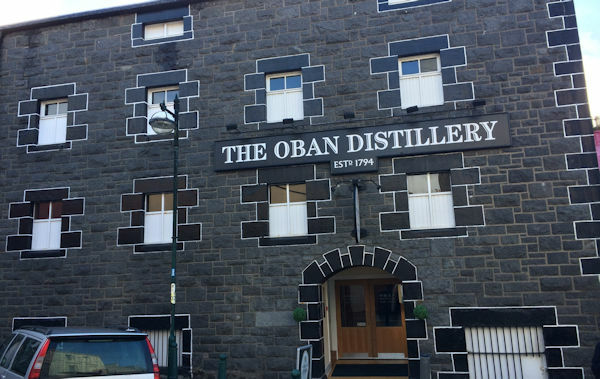 There is one thing about the Oban Distillery that is unique, and it’s right in the middle of the town. This reason for this is because the distillery came first and then Oban town expanded around the distillery. 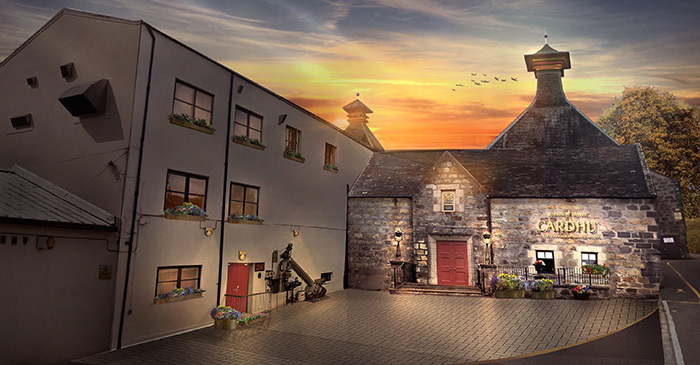 As you can imagine this happening the distillery could not extent in size at all, and that's one reason the distillery is one of the smallest in Scotland. Oban Distillery set up was superb, and we got an excellent first impression feeling about the place. The shop set up was good, and even at 11 am on a Tuesday morning, there must have been over 20 people all roaming about the shop looking for souvenirs and gift. 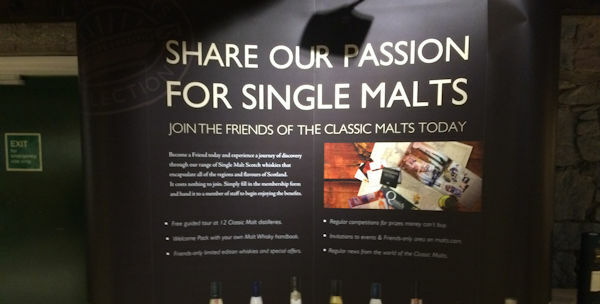 After taking a few photos of the whiskies on offer, I introduced myself as Planet Whiskies and was giving a warm welcome to the distillery. With the tour starting upstairs in 20 minutes we thought we head upstairs to see the whisky bar the Oban team members were talking about, and it was good to see a full supply of Oban malts present and waiting to be consumed at the end of the tour if you were lucky enough not to be driving. Once upstairs and looking at all the malts in the whisky bar, we carried on along the room to look at all the history and information from the past that was present on the walls. 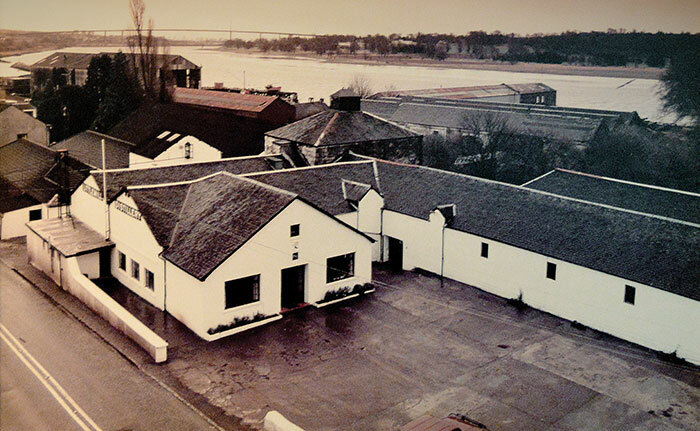 As we strolled around, you could sense the history involved and just how important the Oban Distillery was to the local community and the whisky industry as a whole. 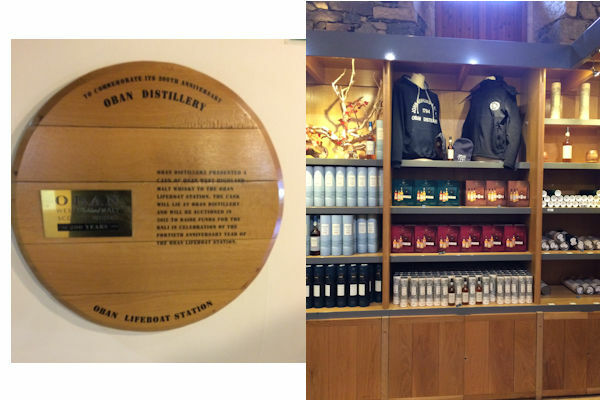 Also on the walls of the distillery was details about how Oban malts are made and a large section about Oban 14 year old being one of the 6 Classic Malts of Scotland representing the Western Highlands. 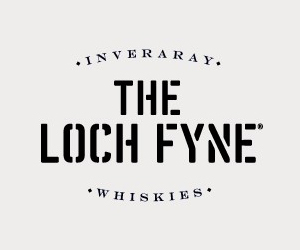 It was interesting reading about the six classic malts with the five other classic malts being - Dalwhinnie 15 year old from the Highlands, Talisker 10 year old from the Isle of Skye, Cragganmore 12 year old from Speyside, Lagavulin 16 year old from Islay and Glenkinchie from the Scottish Lowlands. 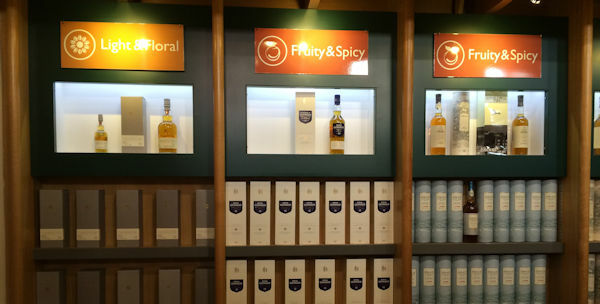 There was also a video presentation about the Oban and the surrounding areas and a poster showing the four key flavours to the Oban malt – Smokey, Sea Salt, Orange Peel and Honey. As the time approached, 11.30 am everyone that was going on the tour assembled at the top left of the room. Our tour guide around the Oban Distillery today was Sam, and we were all looking forward to finding out his knowledge of the Distillery. 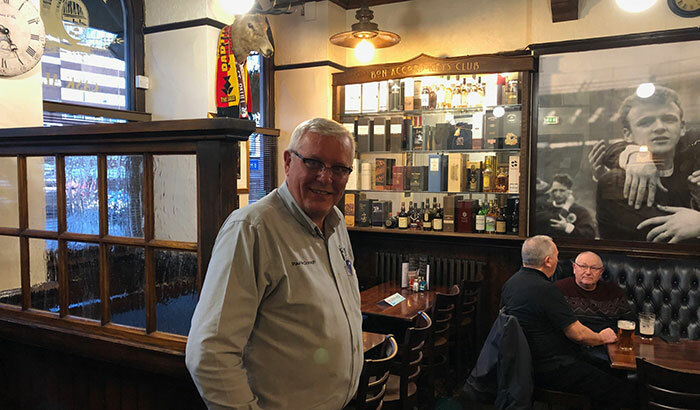 After he went around the touring party finding out where everyone came from he went straight into the history of Oban and general interesting facts about the town, local area and some of the malts. 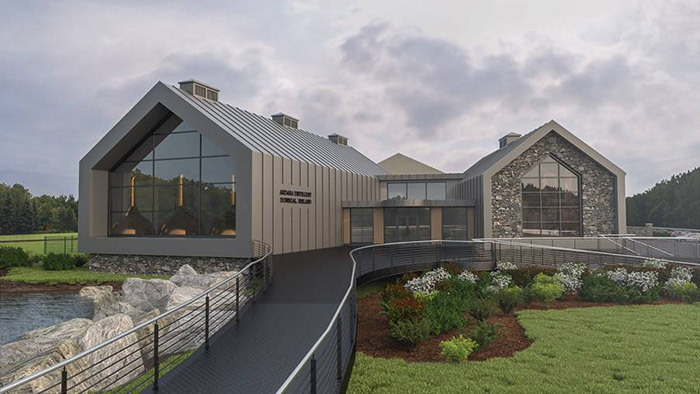 One interesting point was that the water source used at this distillery is the same as the town of Oban - Loch Gleann a'Bhearraidh and that he also explained how the town was built around the distillery so there was no room for expansion and they kept all the traditional methods. 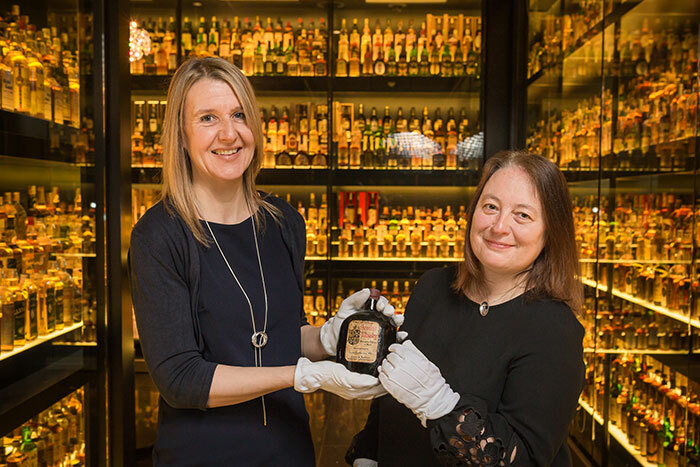 Storage of the grain, for example, is not stored on the premise like “years gone by” because of the lack of storage areas and a large amount of the whisky is stored elsewhere in Scotland, but in theory is best practice as you should not “keep all your eggs in one basket”. 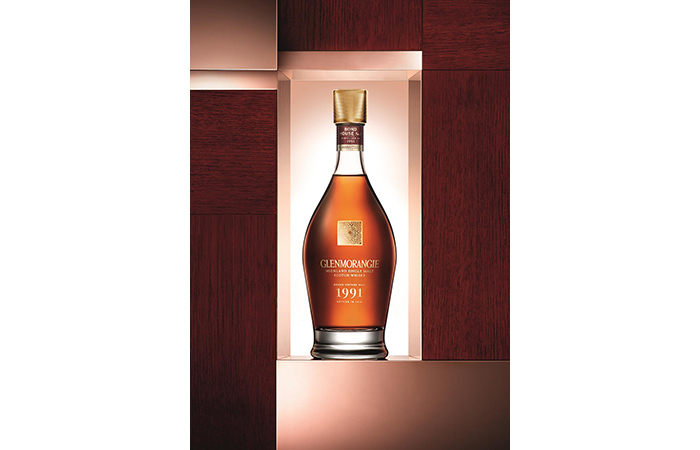 One of the most interesting facts was that the Oban Malts were only used as single malts and never in any blends. 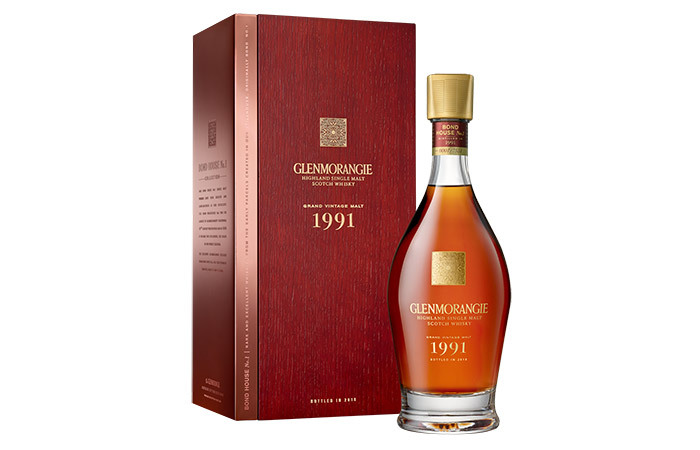 He went on the say with the size of the distillery it was important to use everything it made to keep up with demand for their 14 year old and other malts they produce under the Oban name. Finally, after the 10 minute introduction and a health and safety lesson reminding everyone that this was a working distillery and certain areas would be hot. 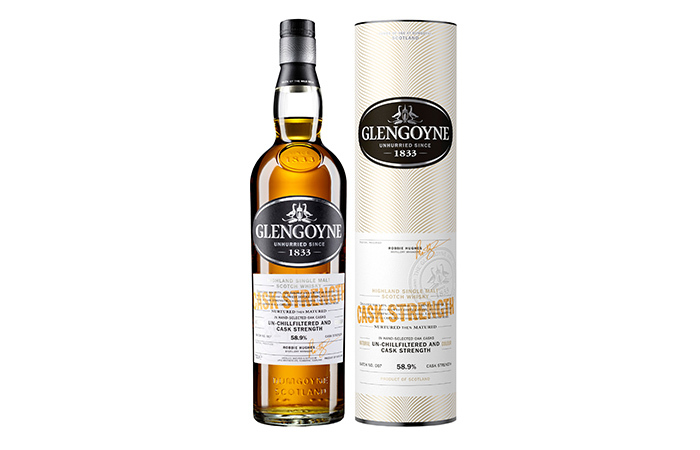 Also a warning that different smells would be present throughout the distillery and some of them being extremely strong, we moved into areas of the working distillery. Sam, the guide, took us through the various parts of the distillery showing us all the process involved in the making of the Oban malts. Each part of the distillery was enclosed by itself with pipes leading to the next sections. From the washbacks where the barley was soaked for a couple of days to mash tun and then onto the two stills where that are present in the distillery where the spirits were finally distilled. 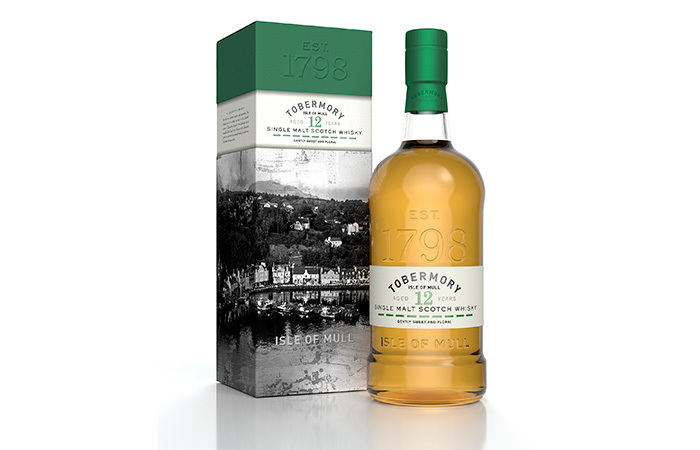 Both stills were short in height from other stills we had seen in the past, but again this was due to the height of the building and shorter stills would also ‘impact’ the final taste of the malts which the Oban distillers’ team were after. 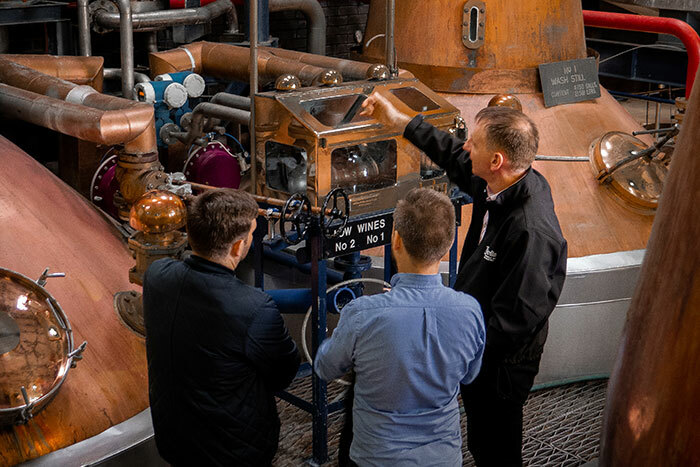 During each process, Sam knowledge was excellent and also gave everyone a chance to ask questions at the end so people would find out everything they needed to know about this working distillery. Must say it’s time like this you wish you could have taken photos inside the working of the distillery as a photo can tell a thousand words, but for health and safety reasons all equipment had to be switched off. After seeing the stills, Sam took us outside and then into another building where in the past the grain used to be turned, but now is just a holding area. There was a barrel lying in the middle of the floor he asked everyone in the tour party to have a small, but to be careful as he did not want the barrel “running away”. While we were all doing this Sam told us that we were all going to have a limited sample of an Oban Malt, one that was unusual as it was a 13 year old cask strength malt about 63%. 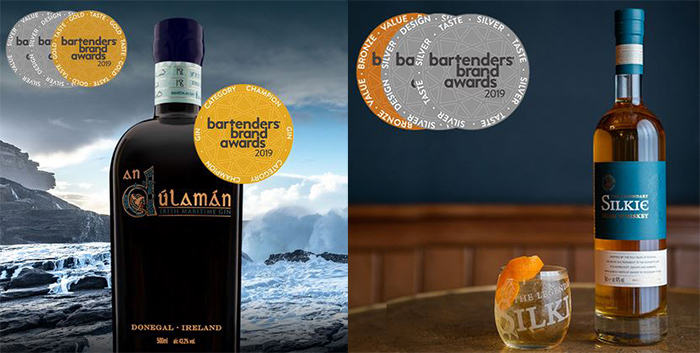 He gave us all glasses with the Oban logo on the front and a small measure of the whisky from the prepared bottle that had come out of the barrel. Once we had all smelt and tasted the whisky, we were all told we could keep the whisky glass as a memory of the tour around the distillery. As there were spirits in this building, Sam stated he had to be the last one out as the door would have to be locked, and he did not want to leave anyone in the building. We all laughed! As Sam lead us back into the main building of the distillery, the final stop of the tour was back to another bar on the same level as the shop. Here we all got a sample of the 14 year old, with some of the touring party accepting plastic sealed glasses with their sample of 14 year old in as they could not consume it for they were driving. Now the tour was over we all went through the door of the downstairs bar and walked straight into the shop. Again there were around 20 people all looking at the whisky stock. 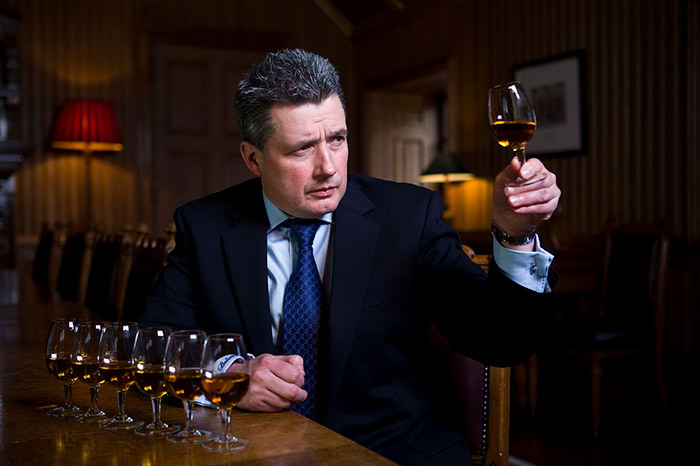 I thought about buying an Oban malt that was only sold at the distillery, and only 6,000 bottles were made available. The name of this bottle is called Oban Distillery Only Bottling and is trippied distilled with a 48% strength (normal Oban strength is 43%).The cost of this bottle was £100, but I decided as I was in Oban for the first time that I should go for the more traditional one and of course that was the 14 year old priced at £45. 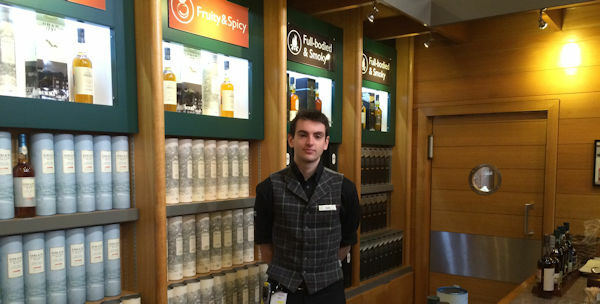 Planet Whiskies would like to thank everyone from the Oban Distillery and especially Sam for an excellent tour. The tour was great and one that we would recommend to anyone who is visiting the Western Highland town of Oban.